It's Mr. Pig's birthday, so Mrs. Pig and the piglets take him for a round of miniature golf. And they give him his present -- a new lucky golf shirt. But the new shirt isn't lucky enough. It seems like Mr. 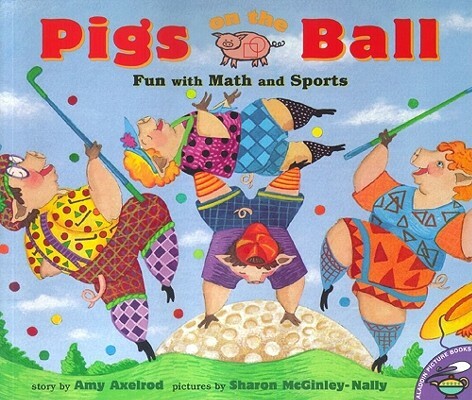 Pig can't make a single hole in one, while Mrs. Pig sinks every putt. Can studying the geometry of the golf course give Mr. Pig a better chance? With a free pizza prize at the end of the game, nothing can hold the Pigs back. Play ball!